Announcing the DBB/26 Shirts Chicago Official Tee-Shirt for the 2018 Season! It’s going to be a wild political season and the 2018 Chicago Bears have a chance to be the most exciting vintage in years. So DBB created a shirt combining both concepts. 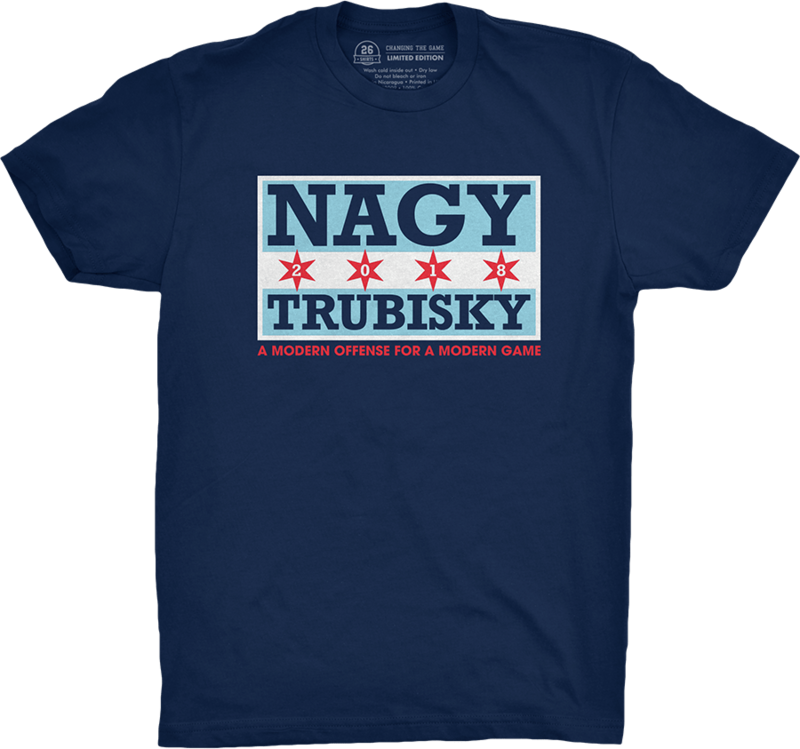 The shirt is being made by 26 Shirts Chicago and is selling for $24.95. But $8 of every sale is going to benefit Windy Kitty Cafe, a cat shelter and nursery in Chicago. I’ve been very proud of the charitable work this site has done over the years and I’ve wanted to find something in the animal world that needed support. The shirt is below. And it’s amazing. To purchase it, CLICK HERE. To read more about the work of Windy Kitty Cafe and their new Kitten Korner, CLICK HERE.